Growing wealth, record tourism, and cheaper rent for prime retail property are some of the driving forces behind why Canada is becoming a major hub for global luxury brands. Whether you're in the market for a new $2 million Swiss watch or just window shopping, it's pretty hard to miss a new global luxury retailer setting up shop in one of Canada's high-end shopping streets these days. 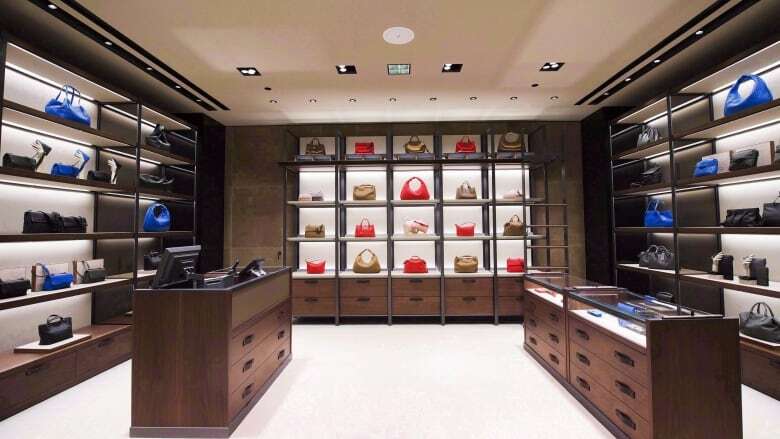 There's has been an influx of luxury brands opening flagship stores in major urban centres like Toronto and Vancouver over the last couple of years, with some of notables being French fashion houses Chanel, Hermès and Swiss watchmaker Richard Mille. In fact, nearly 40 per cent of the about 50 new international retailers that entered Canada last year are considered to be in the luxury segment of the market, according to Retail Insider. The industry publication has been tracking national store openings for the last five years. "In my neighbourhood of Bloor Street and Yorkville, we're seeing this absolute explosion right now of luxury brands," said Craig Patterson, president of Retail Insider, referring to two high-end shopping areas in Toronto. 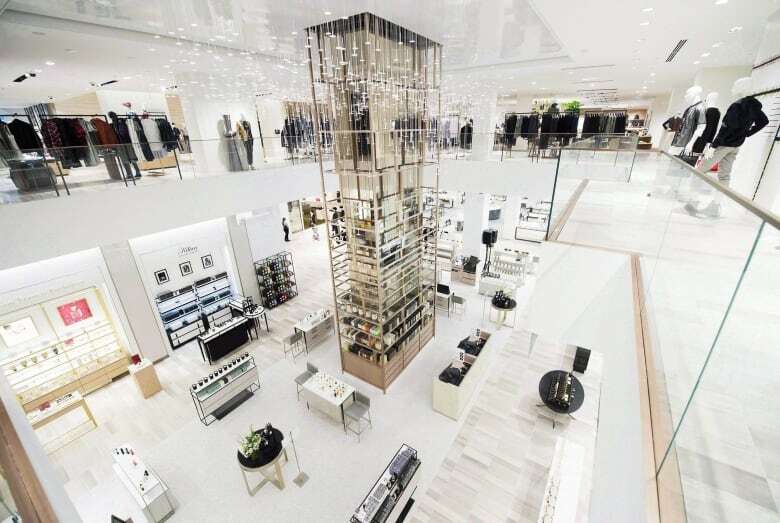 A combination of increasing wealth, tourism and more affordable prime retail property have made Canada one of the top destinations for luxury retailers, according to analysts. Toronto ranked 10th in the world last year for the number of luxury store openings, a report by London-based real estate firm Savills showed. The city was one of only three North American cities to make the top 10 list, along with New York and Los Angeles. As the sale of luxury goods globally continues to decline, retailers are becoming more strategic about where to open shop next. For example, the cost of prime luxury retail rent in Toronto the third quarter of 2017 was $318 US per square feet per annum, according to the study. That compares to $3,200 in New York, $700 in Los Angeles and $2,918 in London, which tops the list. "It's just so much more affordable to come to Toronto then open a secondary location in Manhattan or Beverly Hills," said Jordan Karp, executive vice president of Savills Canada. "We have the advantage of the Canadian dollar — so that's a driving force." A growing number of tourists and the perception of a more stable political landscape in comparison to the neighbouring U.S. are also big reasons why luxury retailers are choosing Canada. "It's not just a Canadian story, it's also a who's visiting Canada story," said Retail Insider's Patterson. "With Trump in the U.S., people look at Canada as the opposite," he added. "We're free, welcoming and we love immigrants. This is going to work in our favour." This week statistics showed that a record 43 million people visited Canada's biggest city, Toronto, last year, spending $8.8 billion. Notably, China was the second highest source of tourists after the U.S. This comes at a time when luxury retailers are still betting big on the purchasing power of the Chinese consumer. On Thursday, the world's biggest maker of luxury goods, LVMH, reported record revenues in 2017, spurred by a revival in Chinese demand. The French company has 70 labels that range from Dom Pérignon champagne to fashion labels like Louis Vuitton. But even as more luxury retailers eye Canada for expansion, not all market watchers are convinced the segment has what it takes to thrive in a challenging retail space. Doug Stephens, founder of consultancy Retail Prophet said the influx of luxury retailers like Nordstrom and Saks Fifth Avenue are making the market considerably more crowded and complex. "Luxury retailers and brands are beginning to open up to the prospect of selling online.This is making for a far more competitive Canadian luxury market," he said. Alex Arifuzzaman, analyst at InterStratics Consultants, backed that sentiment, adding that there's a bigger supply of luxury retailers in the market versus the demand for them. "The luxury market in Canada is only limited to a few cities and the population for it has not grown at the same pace," he said. "Canadians are very price conscious, and I wonder what percentage of Canadians will spend $2,000 on a pair of shoes." Arifuzzaman expects some consolidation in the luxury market as it grows, saying there will be a re-balancing of who the major players will be. Meanwhile, some analysts argue that wealthier Canadians deciding to shop at home versus spending abroad, along with wealthier immigrants could maintain the luxury market here. Stephens said there was no doubt of a link between rising property prices in centres like Toronto and Vancouver and an influx of luxury retailers in the cities. "For most Canadians, their primary source of wealth and investment is their home," he said "The last decade has seen unprecedented growth in values, which creates a 'wealth effect' psychologically." But, he was also quick to point out that studies have shown that younger Canadians are more inclined to spend on experiences over goods. "Millennials are the first generation in history to document experiences in their lives online," he said. "Experiences are now the primary social currency, whereas for their parents social status was more tied to material goods." However, Patterson said he thinks luxury retailers that create an "interesting experience" for shoppers in their stores will stay ahead of the competition. "If you're going to have a store, you're going to have to make it interesting for people to get off their devices and decide to go shop there," he said.